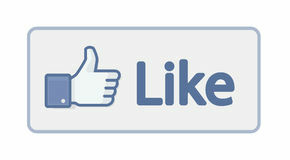 The Saint Matthew Music Ministry is the resident choir of Saint Matthew Church in Cranston, Rhode Island. The present ministry began to form in May 2014. 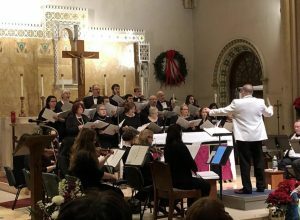 The Music Ministry of Saint Matthew Church has developed into a volunteer choir and orchestra since its formation under the Director of Sacred Music, Kyle P. Jameson, KHS. 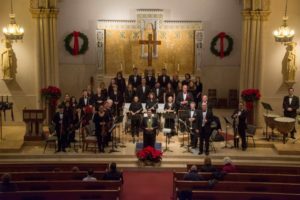 Over the course of time the Music Ministry has continued to grow and perform more regularly, including an annual Christmas Concert. 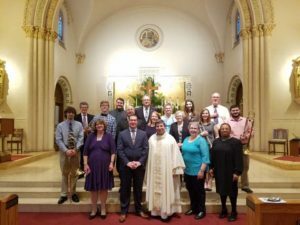 The members of the Saint Matthew Music Ministry dedicate their time freely to the promotion and performance of Sacred Music for the glory of God. The Saint Matthew Music Ministry was recently featured in an article published in the Rhode Island Catholic. Check out the article at the link below!